In previous entries, we have seen (1) the detrimental effects of a constitutional culture: how a culture of upholding the constitution has offered our white compatriots a moral basis for undermining the continued relevance of the liberation struggle; and (2) that increasingly the black middle-class has mired itself into an already flawed environment, which renders them mute in proclaiming the need for a restoration. I would like to elaborate here on the first point, on white inhabitants and their role. It is not the constitution alone that has exonerated whites from the responsibility of oppression, but it is the whole liberal culture—that has become so popular and undisputed in our days. Liberalism and its vain teachings of externalism have the outward appearance that popularly passes for wisdom, by promoting self-imposed devaluations of currency, de-protection of local industries, to mention few. These serve only to indulge the sense that one is making progress in the absence of a deep-seated will to care, express humility and love. Liberalism has had a long life in Western thinking. 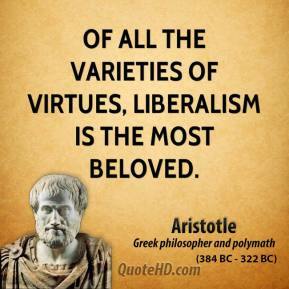 It is to Aristotle’s ancient ‘humanism’ that expressions of liberalism take their historical underpinnings, he once said “It is the mark of an educated mind to be able to entertain a thought without accepting it”. On one level, the willingness to ‘entertain’ appears to show an interest and desire to see change. On another level, where the contradiction lies is in the unwillingness to accept the thought at a fundamental level. There is a way in which change may be desired, but not the obligation of sacrifice that change implies; without sacrifice change remains fundamentally ineffective, a lip service couched under a false pretense of care. The spirit of disaffection had been kindled amongst the white inhabitants of this land. 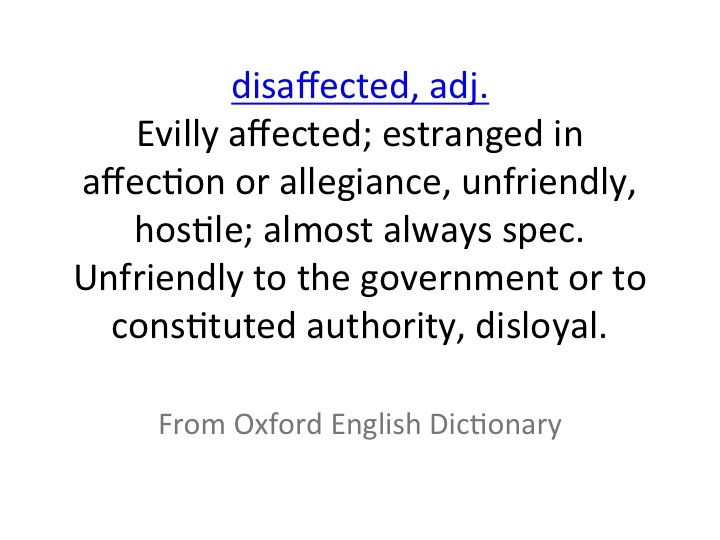 Soon after that there came an outbreak of direct attack of the black government. They were dissatisfied with its purpose and hoped to penetrate its deep counsels, so as to sweep the whole land into discontentment, while secretly holding a tight grip over its means of production—its labour, its mineral resources, etc. Whites were to play the role of accuser; they would point fingers of distrust over all areas of black governance. Doing so would keep the black majority distracted over its viability as a nation state. In the process, it would leave the work of the land’s prosperity and wealth unrestrained. Blacks were even to doubt their own premise for restoring native land and believing it was theirs in the first place. Alongside this was to be an underplay of lucrative propositions made to Africans of visible political and educational milieu. If suspicion could be raised on these leading men of society then the basis of their moral judgment could be called to question! Whites themselves had not at first been acquainted with the real nature of their feelings; for a time they had feared to express the workings and imaginings of the mind. Yet they did not dismiss them. Having not suggested reconciliation in the first place, they thought the concept bewildering coming from the very ones who were oppressed. What this bewilderment did was to bring disaffection to a pause, but it did not thwart it altogether. When the time was right disaffection would arise once again. Upon the retiring of Mandela from the office of the president the opportunity was ideal. All this talk of reconciliation awakened guilt on an unrenewed heart, given its perfect-fit with biblical concept—coming from the very black creature whom for centuries they had believed to be savage, ungodly and sub-human. The time has come for a final decision to be made; s/he must fully yield to the independence of a black government or place him/herself in open rebellion. After Mandela they were never again to acknowledge the authority of a black government. The only viable course for them is to assert their own liberty (even at the expense of others) and gain by force the territories which had not been willingly accorded them. Until finally developed, it could not be made to appear the evil thing it is; disaffection would not be seen to be rebellion. Here lies the limits of the constitution, it cannot bring us to a discernment of this kind of rebellion. If Helen Zille’s and the likes harbor an ambition of championing a free and loving country then their true motive must be put to the test for all to see. It is well likely that in open rebellion, whites will cast the blame completely on a black government; declaring themselves innocent victims, they will seek and gain successfully the approval of the entire global white world. Already in the recently leaked draft campaign of the Democratic Alliance for the forthcoming elections this is becoming apparent. Their strategy is to cast the ANC into a comparison with the Apartheid National Party. They have found ways of appealing to this sentiment by manipulating the current ANC flag to looking similar to the old South African flag. Such tendencies may appear as mere politicking, but underlying such trends is the desire to finally undermine a black government altogether. Those who choose to serve the betterment of our land must do so out of love, and not by force. The universal principle of love alone can set us free. By imposing such a reductive response, this logic takes something out of creation’s totality (ie: food) and raises it above creation itself, and making as if the universe revolves around it. It deflects rather than responds. In so doing, it has a distorting effect on reality and our perception thereof. Tony Leon’s crude slogans of ‘Fight Back’ were elevated to ‘Stop Zuma’ under Helen Zille.